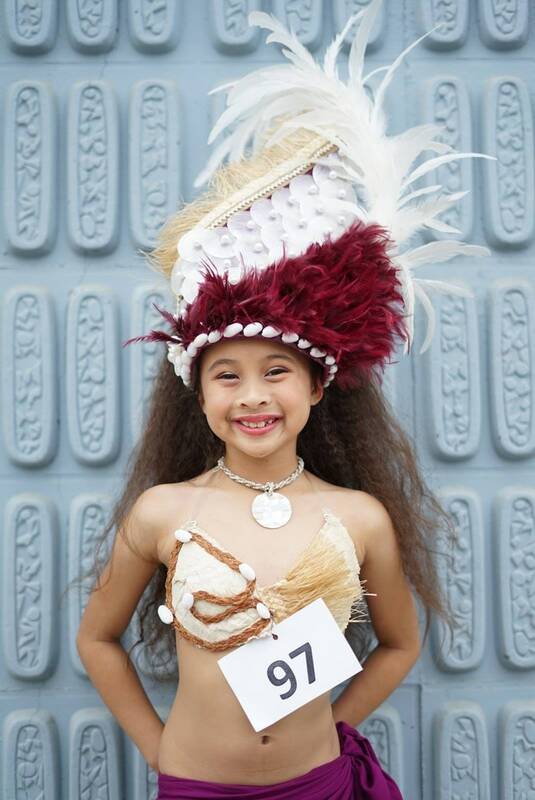 Our Cook Islands/Rarotongan & Tahitian Shell headpiece for Dancers. Perfect for young girls and adults. ALL COSTUMES ARE MADE TO ORDER. Perfect for young girls and adults too. LISTING IS ONLY FOR THE HEADPIECE. NOTE- Don't forget your head measurement and let us know about all the changes to this headpiece. The headpiece made of natural color hau bark grass, shells & feathers. headpiece height approximately 16 tall. The hau grass & feathers you can choose your own color.. I will be happy to do it for you. Our own woven authentic lauhala bra top. Listing is for children & adults. 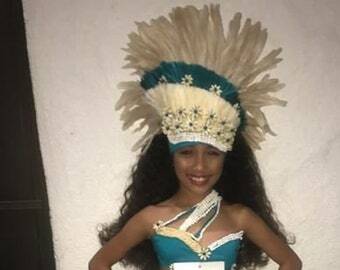 Cook Islands & Tahitian costume set. Perfect for young girls and adults. 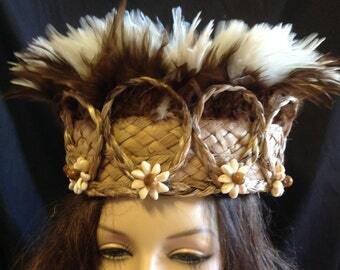 Tahitian & Cook Islands/Rarotongan headpiece. Perfect for young girls and adult! We can change to any of your request colors. Soloist, Luau. Cook Islands/Rarotongan & Tahitian headpiece. Perfect piece for young kids and adults. 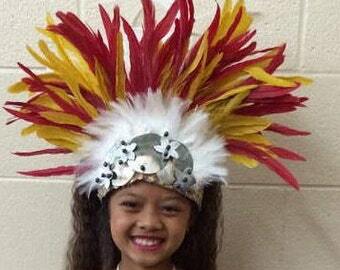 Tahitian & Cook Islands Headpiece/Head dress. Weaved Lauhala, Mother Of Pearls, Black Fresh Water Pearls And Feathers.For Girls Of All Ages. Authentic Braided Tapa Cloth & Hau/Fau Grasss Headpiece. 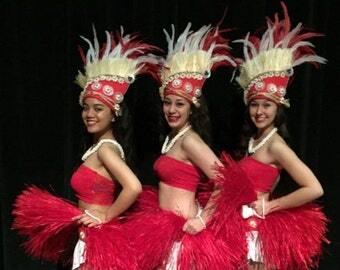 Perfect Piece For Hawaiian, Tahitian, Cook Islands or Any Polynesian Dancers, Luau.